Bamboo Breeze is a new age fusion band comprising of four musicians who have individually made a mark for themselves as accomplished performers, coming with a sound classical music training and a vast experience of collaborating with many artists of international stature. Together, they bring out a sound which is ethnically rooted but at the same time is contemporary and new-age bringing in influences of jazz, blues and even Latin American music, and hence appealing to both a class and a mass audience. The menu offered ranges from Carnatic and Hindustani fusion pieces to own compositions to cover versions of Bollywood and South Indian film numbers, making it palatable to audience of all ages and musical preferences. The band covers almost every nuance of a musical performance from heart touching moments to electrifying and virtuosic moments of energy and thrill. They display their mastery on rhythmic structures by including high quality percussion solos rooted on the Carnatic music concepts. The band also is well known for the interactions with the audience making them feel and most often than not, dance with the grooves. 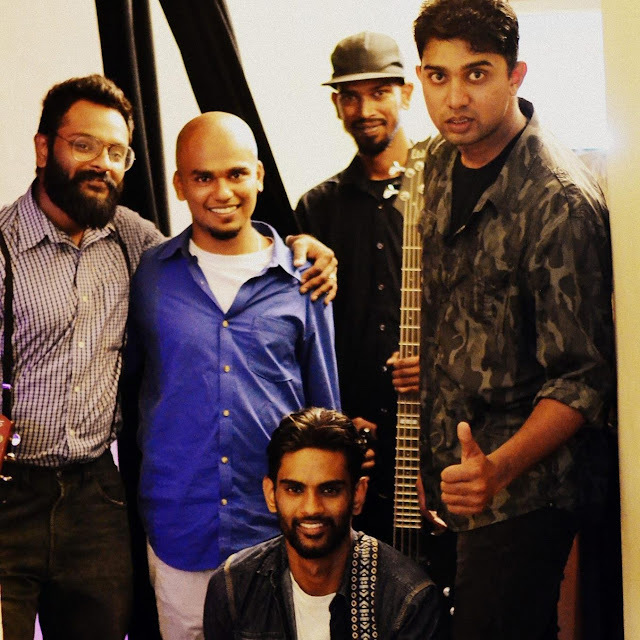 The band has performed on numerous stages across the country at various music festivals, corporate shows and private concerts and is one of the most sought after bands of today. Our time machine broke down and while it gets fixed we’re gonna bring you an intense revival of folk rock from the past 3 decades. Genre: Blues, Folk Rock, Rock & Roll, Classic Rock, Progressive Rock. A quartet of experienced musicians joined forces to enthrall the audience with powerful vocals, mesmerizing guitar riffs and thumping bass lines. RED FLARE , brings to you an electric mix of classic rock, reggae, rock ‘n’ roll, contemporary pop tracks you love to sing along and pure listening pleasure. Rini P on Vocals, Wati J on guitar and Vocals, Sudhakar D on Bass and Vocals and Anand S on drums.